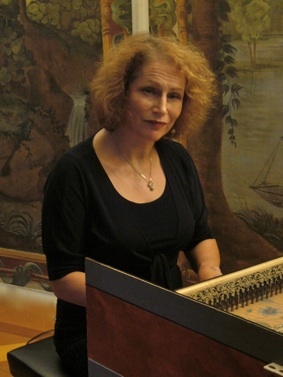 After graduating from the Conservatoire National Supérieur de Musique de Paris, and taking lessons with Ton Koopman in Amsterdam, Aline Zylberajch went on to a Master of Music at the New England Conservatory of Music in Boston She started her career as a harpsichordist. However, her interest in the music of the late 18th century has led her naturally to an intensive involvement in the performance practice of the early piano and the amazing variety of instruments built at that time. Hence her solo repertoire as a soloist includes music by Byrd, Frescobaldi, Froberger, the French harpsichord composers, J.S. Bach and his sons, Haydn, Mozart as well as their many less known contemporaries. One of her other addictions is vocal music : she has taken part in many opera productions, and she greatly enjoys accompanying soloists, for baroque music as well as Lieder evenings. She has also appeared with many instrumental ensembles, such as Les Musiciens du Louvre, and smaller chamber ensembles including les Nièces de Rameau, Alice Piérot and her trio AnPaPié. She has been regularly invited as a soloist by the Polish baroque orchestra Arte di Suonatori and collaborates regularly with "Le Parlement de Musique".